Citywest Hotel Dublin saw the third Funeral Times Trade Show in October. The Irish exhibition was a huge success for both exhibitors and funeral directors alike. People came from all over Ireland and the UK to view the great range of products and services on offer. 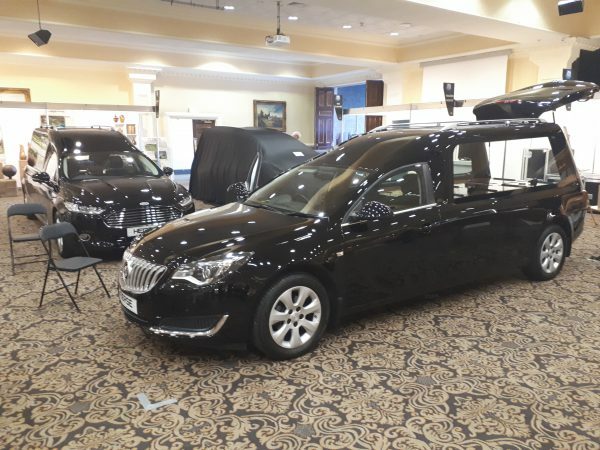 From hearses and limousines, gravestones, coffins, lifting equipment to funeral supplies; undertakers had a massive range to choose from and there was a lot of interest on all stands over both days. From a vehicle perspective, there were stands from ourselves, Byrne, Coleman Milne, Duffy and Prestige Conversions. Prestige Conversions are a company in England which specialise in bespoke Rolls Royce hearses and they had a successful show raising their profile in Ireland. Its always great to see new faces in the industry and hopefully they continue to grow with their positive feedback. CPL Funeral Supplies showcased their growing selection of funeral supplies and stainless steel products. 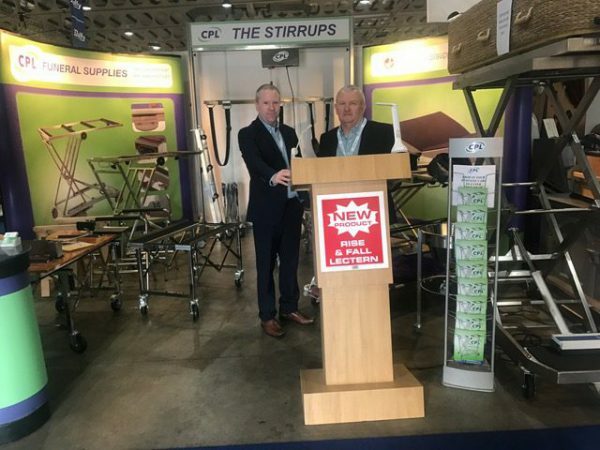 CPL had on display the Rise and fall lectern which was released at the NFE in June, and was showcased to Ireland for the first time on Tuesday. embalming practices – civic ceremonies – infectious disease – occupational health and a hugely interesting seminar on the history of technology in the funeral industry. The funeral directors who attended were unanimous in their praise of very informative talks and all seemed eager to speak about the knowledge they gained. It definitely seemed that a great time was had by all, and this was magnified by the facilities. Citywest Hotel had some great food (and drink!) and everyone who stayed agreed that they further cemented their place as a premier venue for events and conferences in Ireland. Discounted rounds of golf were available for guests and the staff were very professional in making everyone feel as welcome as possible. A big thanks to Ruth, Vikki, Paula, Graeme, Richard and everyone at Funeral Times for organising and presenting another fantastic exhibition, and here’s to many more in the coming years. Click here for The Funeral Times Trade Show Ireland.